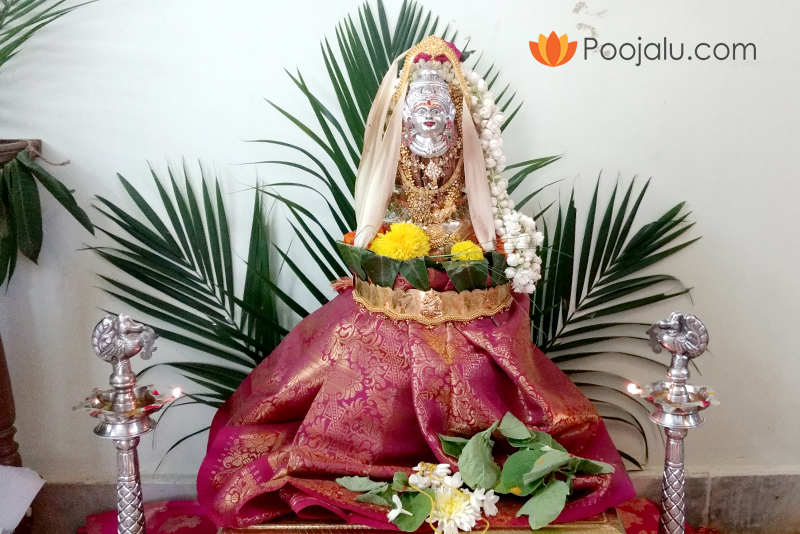 Poojalu.com®, a Certified Pandit Service Providers make arrangement to the devotees, to Book Pandit for Varalakshmi Vratam Festival 2018 in the month of auspicious Shravan (Maas) at your home on your flexible time. 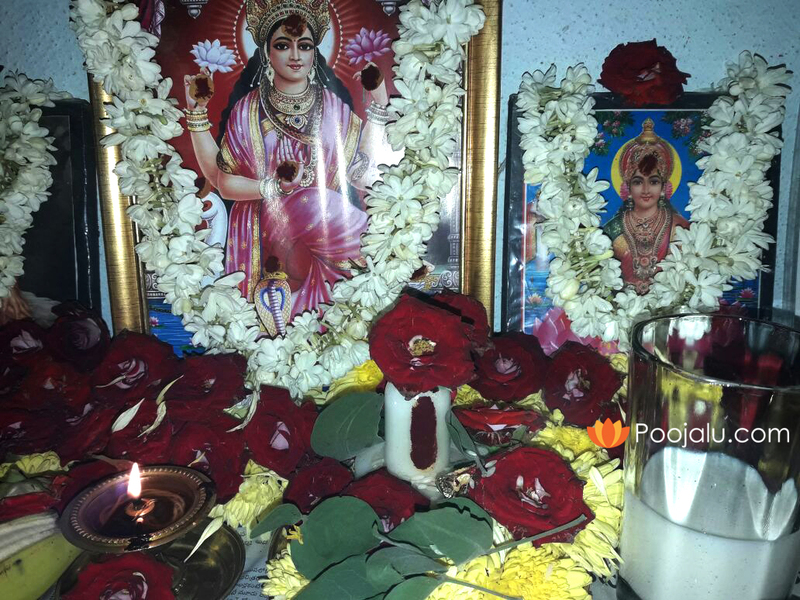 Performing Vara Lakshmi Pooja for Goddess Maha Lakshmi gives a whole lot of happiness and prosperity. 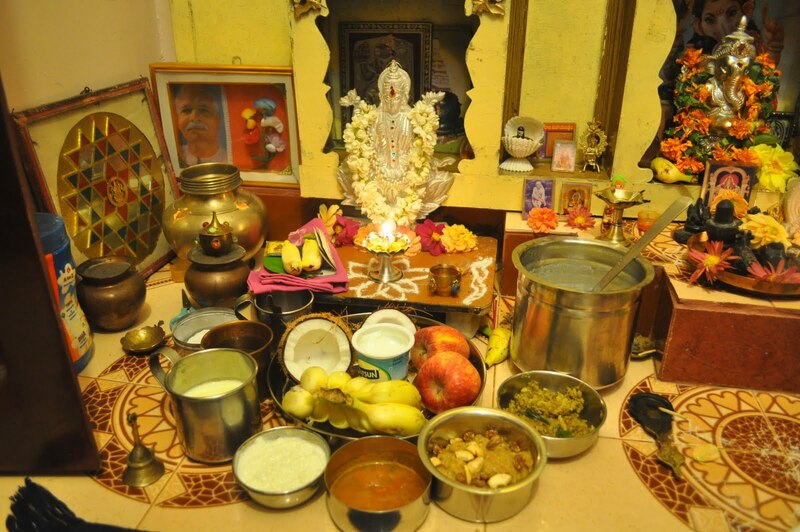 Book a Pandit for Varalakshmi Vrata Puja @ 2116/- only. 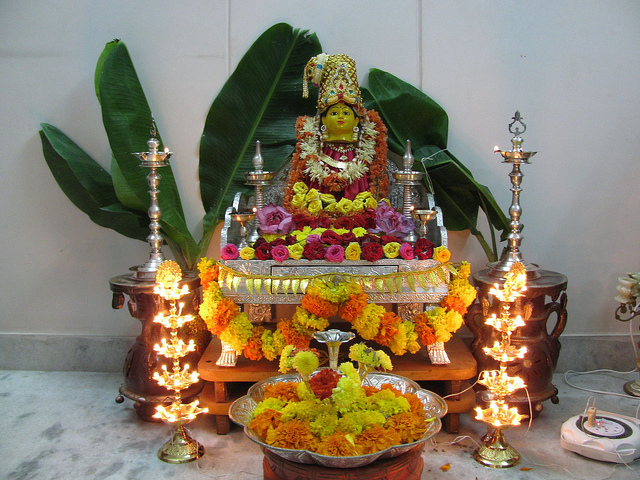 The Vara Maha Lakshmi Vratam Puja can be done in auspicious Lagnas like Simha Lagna,Vrishchika Lagna, Kumbha Lagna & Vrishabha Lagna. We provide decent Vara lakshmi Vratam Puja Samagri Items list to perform Varalakshmi Vratham Pooja. 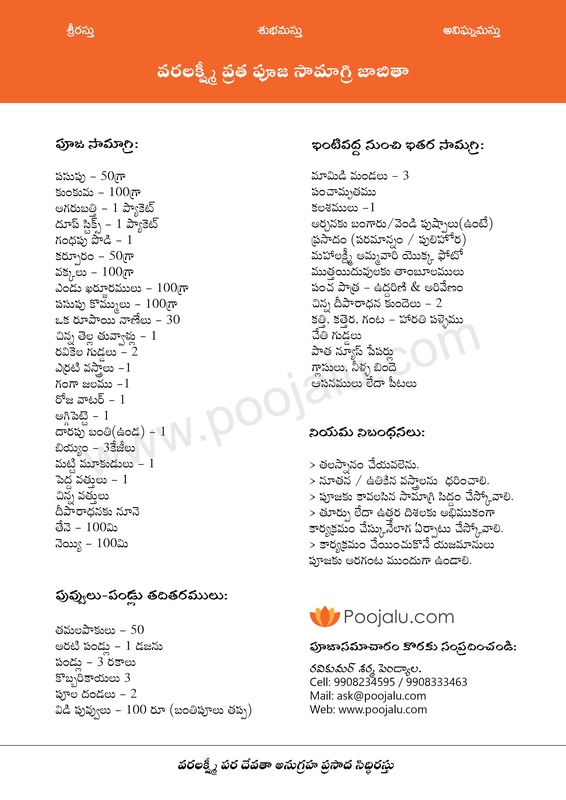 You can download Customized Pooja Material list in Telugu / English that can be arranged by pandit ji / client easily. 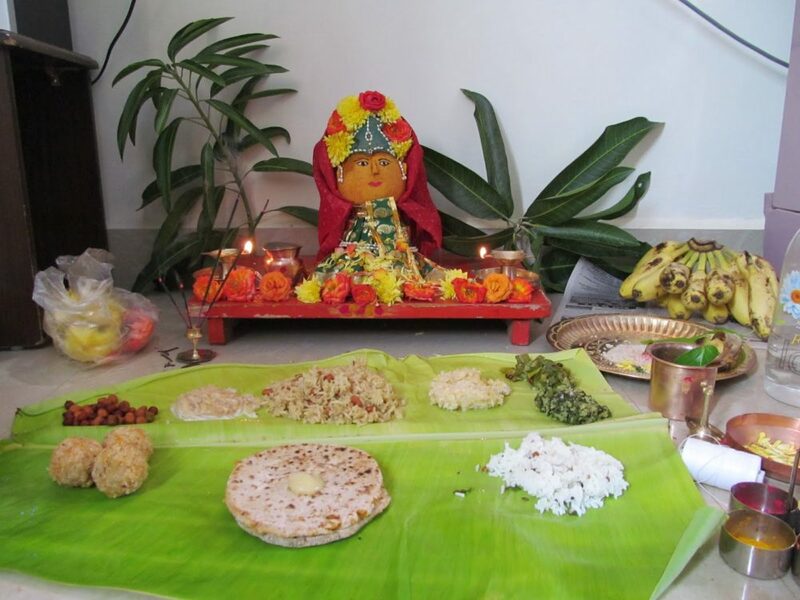 In our list of pooja samagri, you can find each and every item that can be used to perform the Varalakshmi Puja. Download Varalakshmi Pooja Material list for free of cost now! Varalakshmi Vratam is most important festival in South India celebrated by married women’s for the well being of their family. Vara means boon Lakshmi goddess grants the boons to the devotees who perform this pooja on this day. This Vratam is done in Sravana Masam it is performed on Friday preceding the full moon day (Pournami). Varalakshmi is appeared in a women devotee named Charumathi’s dream and expressed her fulfillment of one’s wishes towards the goddess. Improves wealth, fame, peace, love , pleasure, strength. To bless the devotees and brings prosperity, health and long life in the house. 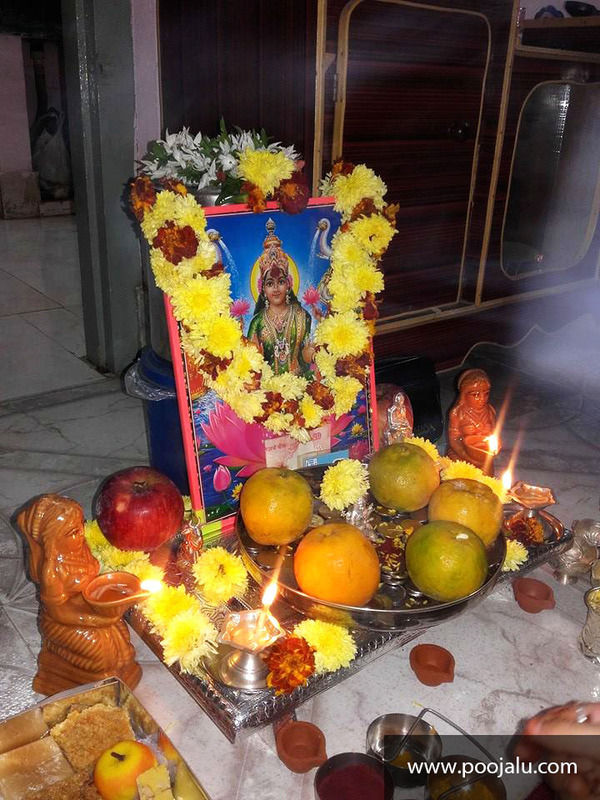 Praying to Varalakshmi is equivalent to worshipping the Astha Lakshmi. Righteousness, wealth, desire, and liberation from life. To get Deerga Sowmangalyam &amp; Vamsha Vriddi. HOW PANDITS WILL PERFORM VARA MAHA LAKSHMI POOJA? Professional & experienced Vedic Pandits. Will perform the entire ritual in Vedic Procedures & Standards. Best quality Pooja Material for your auspicious event. Professional Guidance & Effective Support. 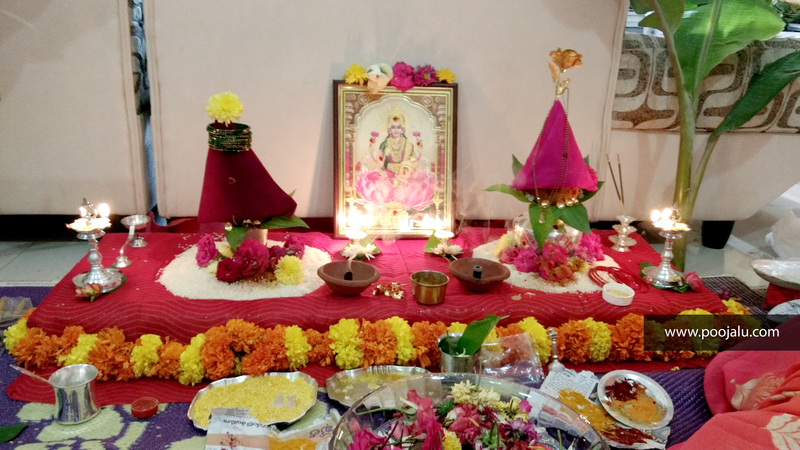 WANT TO BOOK A PANDIT FOR VARA LAKSHMI VRATA PUJA?